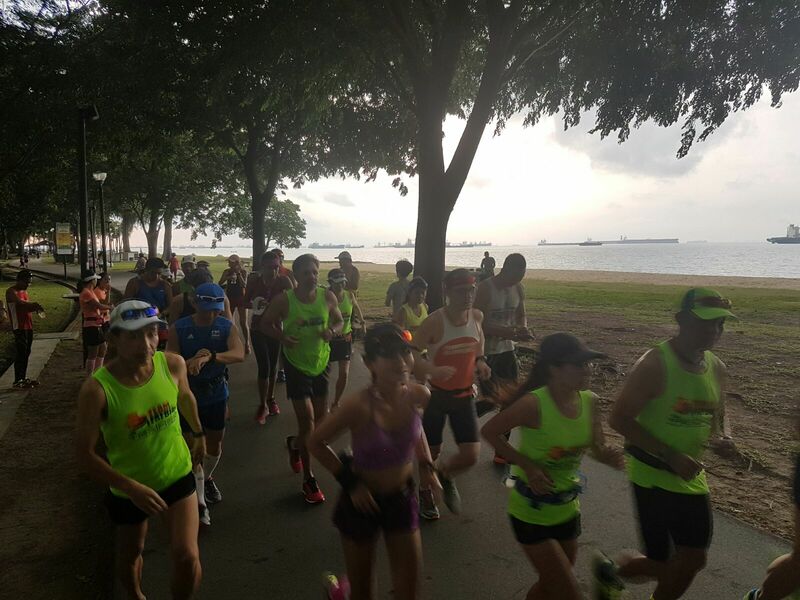 The change of wind direction at the eleventh hour allowed the Army Half Marathon 2016 to proceed as scheduled. That ensured that the weeks of hard training by the Kingfishers did not go to waste, delivering many Personal Bests and Season’s Best. 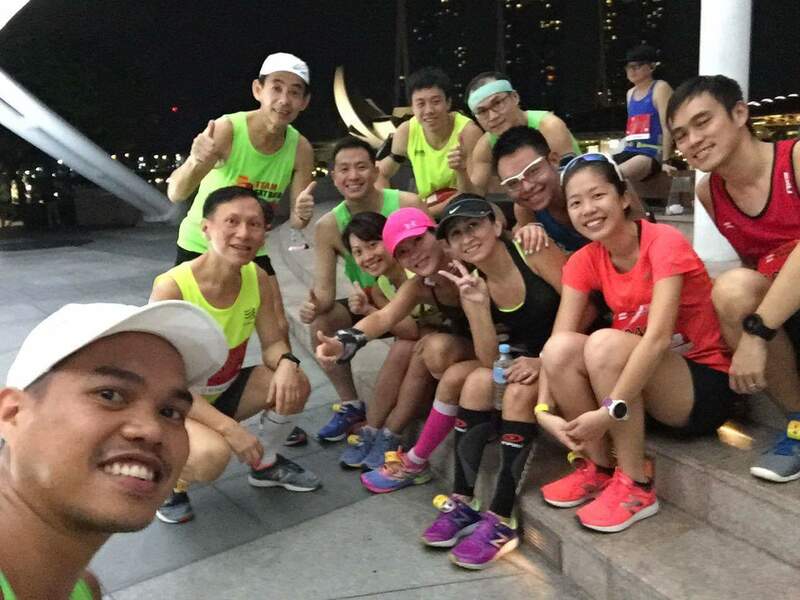 After 7 weeks of PowerFlight training comprising of weekly tempo runs, intervals, hills and steady paced runs, the Kingfishers met up at the Esplanade Amphitheatre 3:45am. We went into the personal dynamic warm up routines at 4:10am to prep our engines. By the time we entered the start pen after group photos, it was already quite filled from the front. 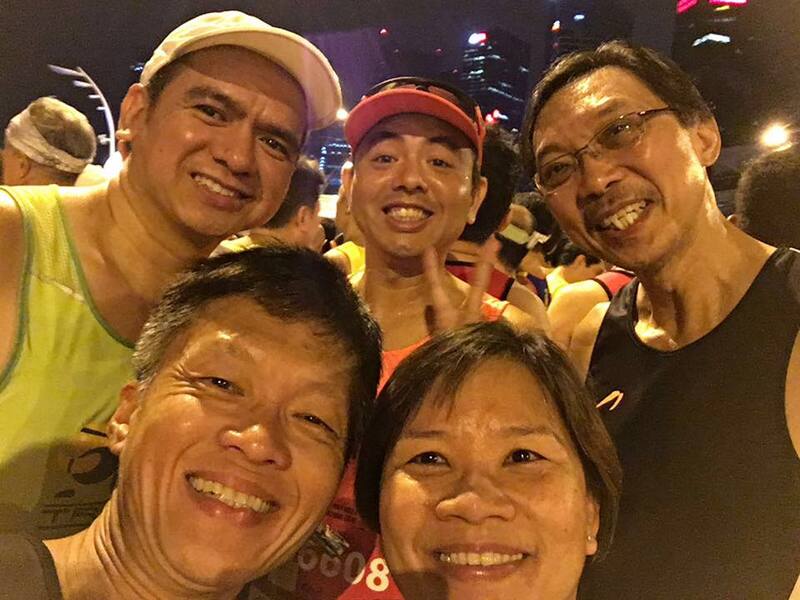 Our group managed to jog up and wriggle our way to within 25m from the start line. The air was good, although slightly humid. We were entertained by the MC until flag off at 5:00am sharp. 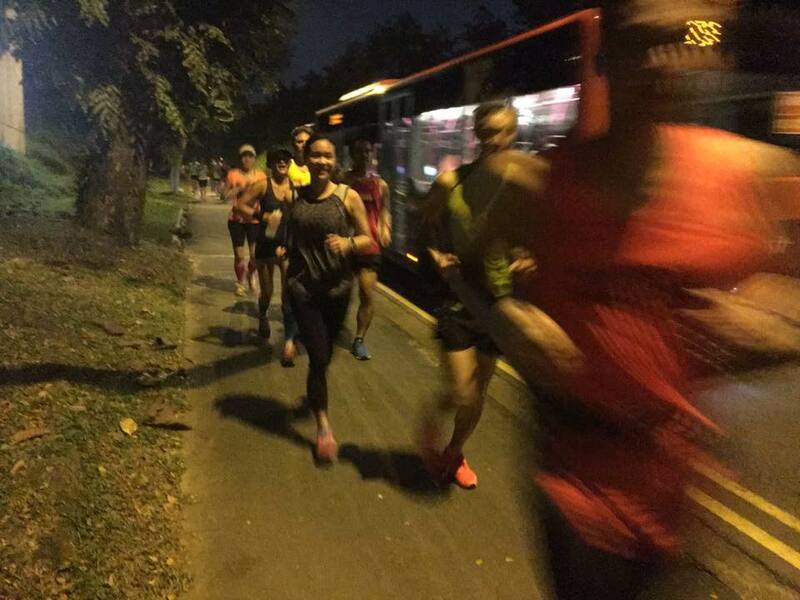 I managed to break through the thick crowd after about 500m and settled into a 4:40h pace. The FatBirds went on a conservative start and followed closely to their race plan. 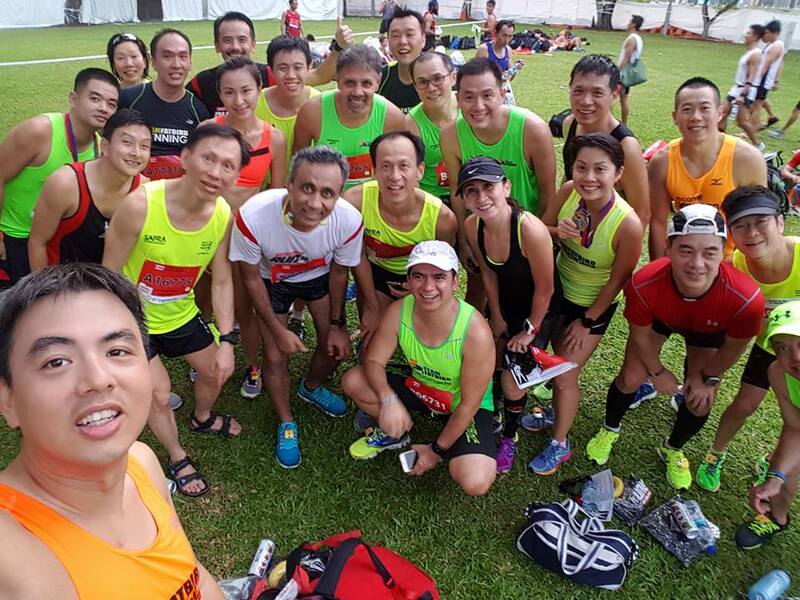 They were to use the Official SAFRA Pacers as guideposts, but still rely on their own timing devices and Heart Rate Monitors to maintain their Optimal Pace. 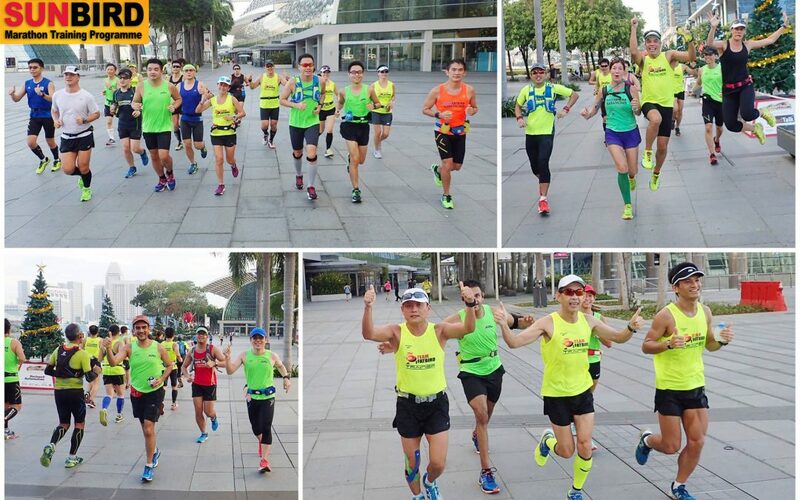 The first half of the race went around the city area and Gardens By The Bay. Other than the first drinks station which came only in the 4-5km mark, the rest of the hydration points were well positioned and carried ample stocks. I maintained my 4:40h pace and tried not to have too many surges. 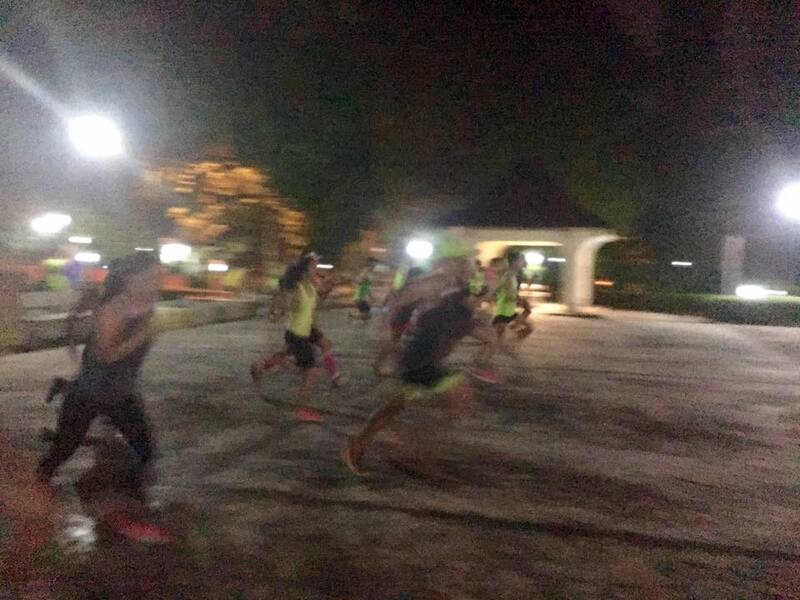 The night was quite dark, so we were all careful especially at the dimly-lit areas of Gardens and Tanjng Rhu area. 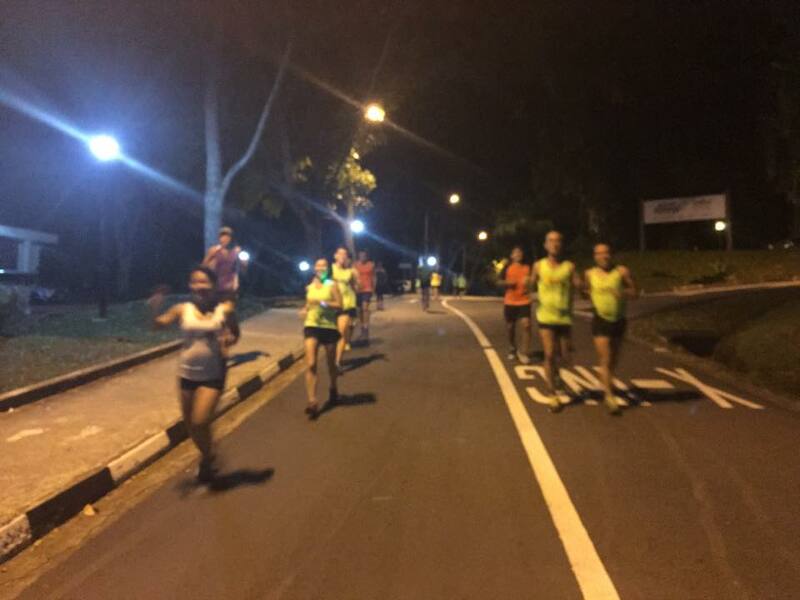 The second half of the race saw us running around the National Stadium and then up on to Nicholl Highway. It was relatively flat throughout, save for a few rolling slopes. It was pretty smooth for me at the drinks stations, except for one where I had to run back to get the 100Plus which I didn’t want to miss. Although I didn’t really need it, I popped a gel at the 13km mark as what was prescribed during our Kingfisher training. 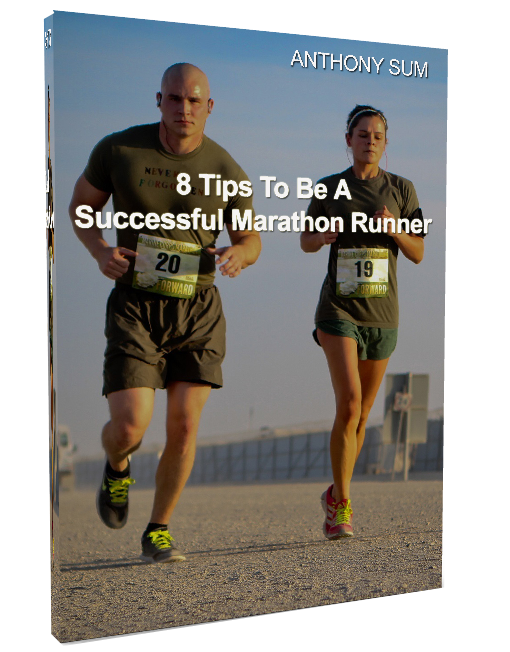 That could have helped to stave away any potential cramps from maintaining the pace. With 7km left, I decided to move the pace up slightly after I body sensed that there were no tingling in my calves – signs of cramps brewing. 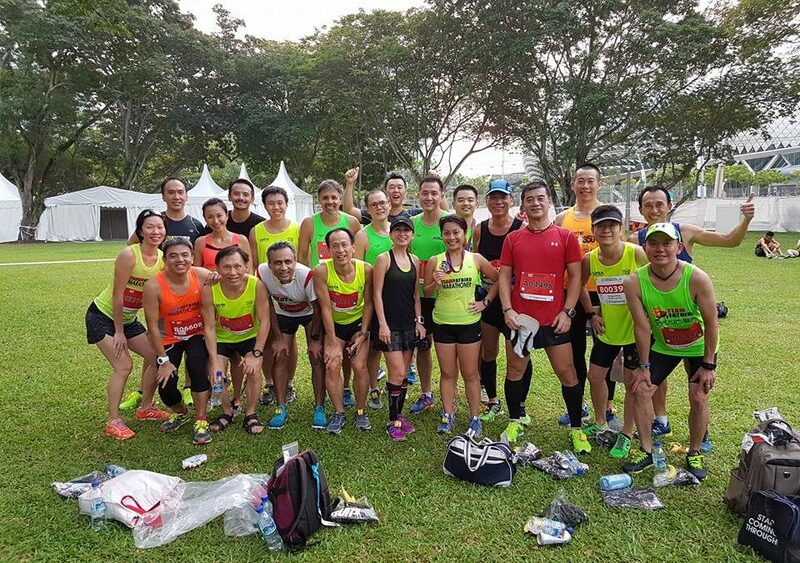 I carried the 4:35min/km pace all the way to the finish line at the Padang with no incident. Based on some quick mental calculations, I was already in my HM PB zone from the 15km mark onwards. A check on my trusty Garmin 235 showed a potential Half Marathon PB of 1:36h. 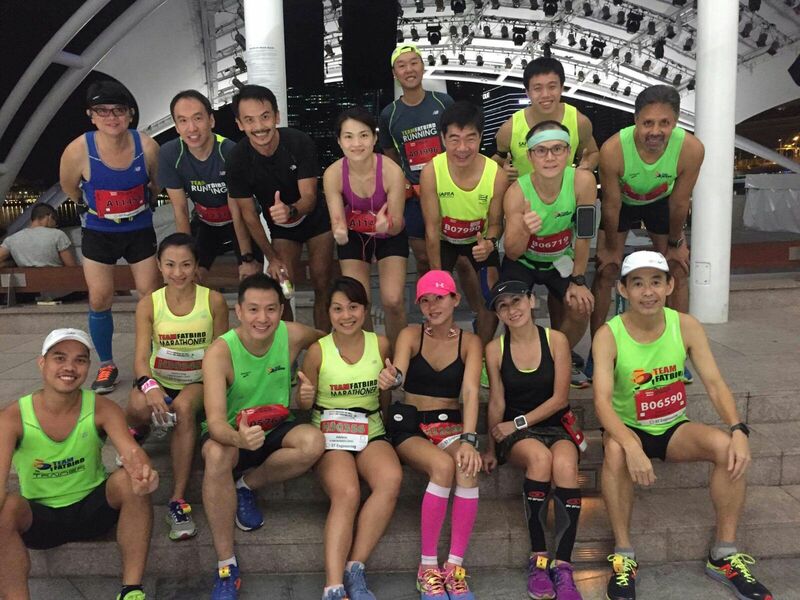 My HM PB of 1:38h was last achieved at SCMS 2015. As I had another appointment, I left the place immediately after collecting my finisher tee and medal. It was later that I learnt the good news of so many Kingfishers and FatBirds that have scored Personal Bests. All their hardwork and dedication at the weekday track and hills workouts, and weekend long steady runs have paid dividends immensely. 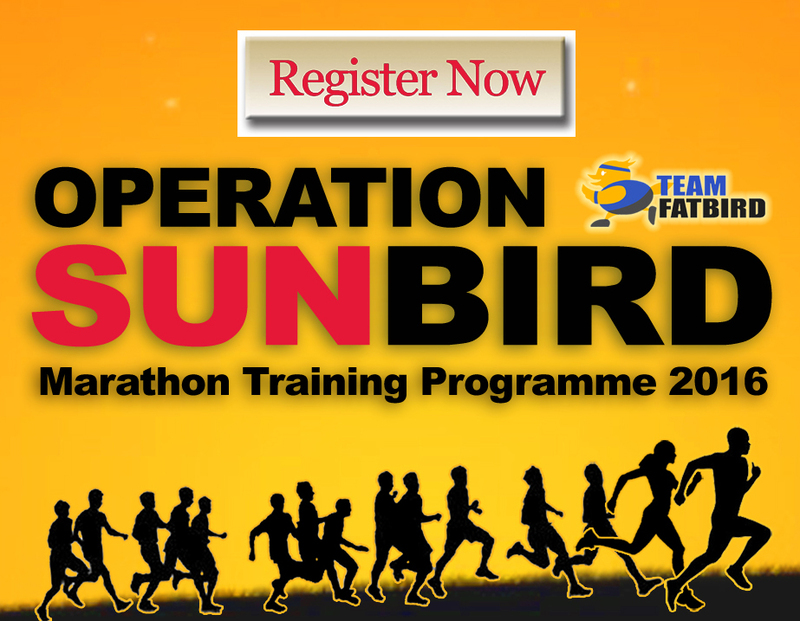 With AHM16 done and dusted, we now look forward to Operation Sunbird 2016 – our 12-week structured marathon training program for Standard Chartered Marathon 2016 and the list of overseas marathons. 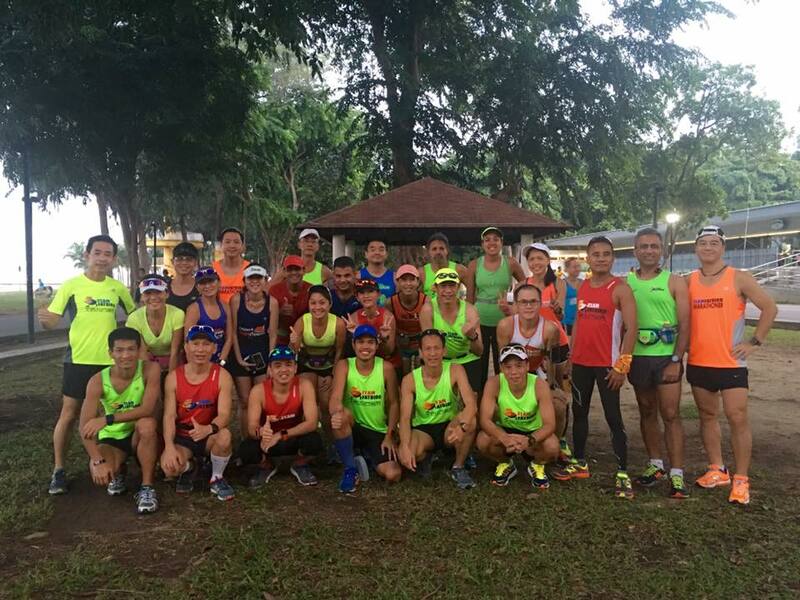 After a good 21km time trial last weekend, the Kingfishers moved into Tapering phase in week #6 of Ops Kingfisher Half Marathon training for the Army Half Marathon (AHM). 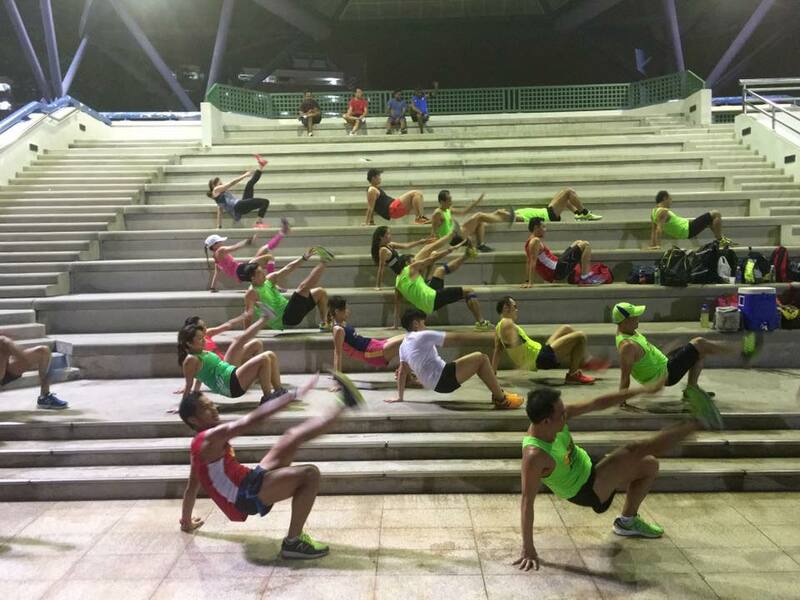 The bout of thunderstorm on Wednesday didn’t stop the Kingfishers from doing a full set of cardio and core training, led by very able Kingfisher trainers at Serangoon Stadium. 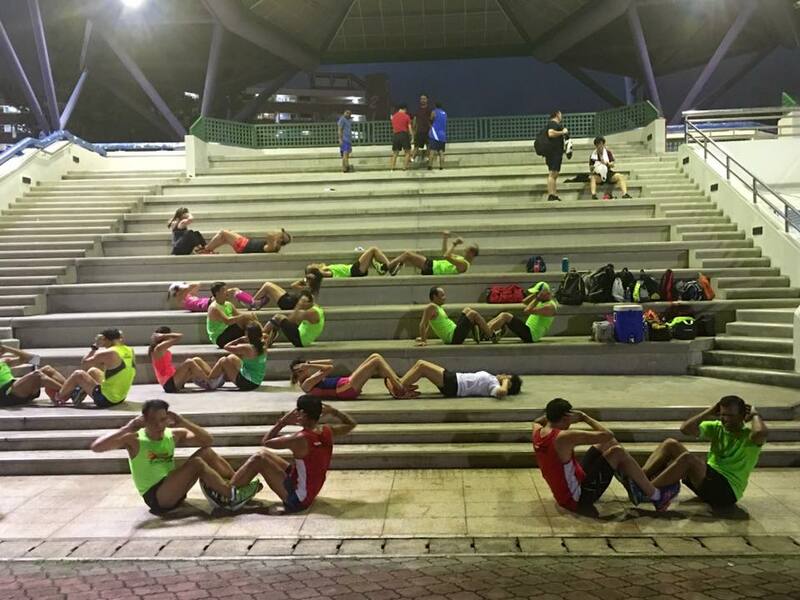 Partner bodyweight exercises coupled with some light running around the track after the rain fizzled out provided the main meal of the night. The Kingfishers lapped the modified menu up in good spirit. 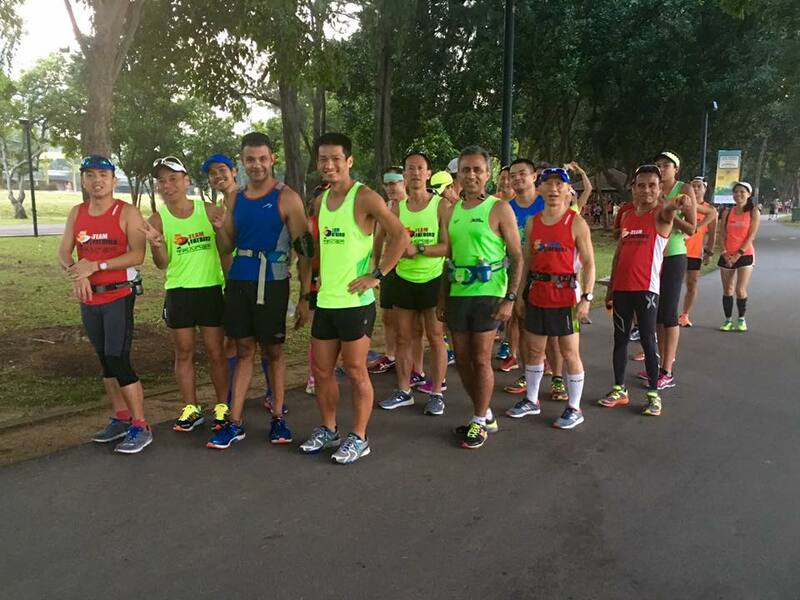 The Pocari partner was down early to support the Kingfishers for their final long run before the AHM race. 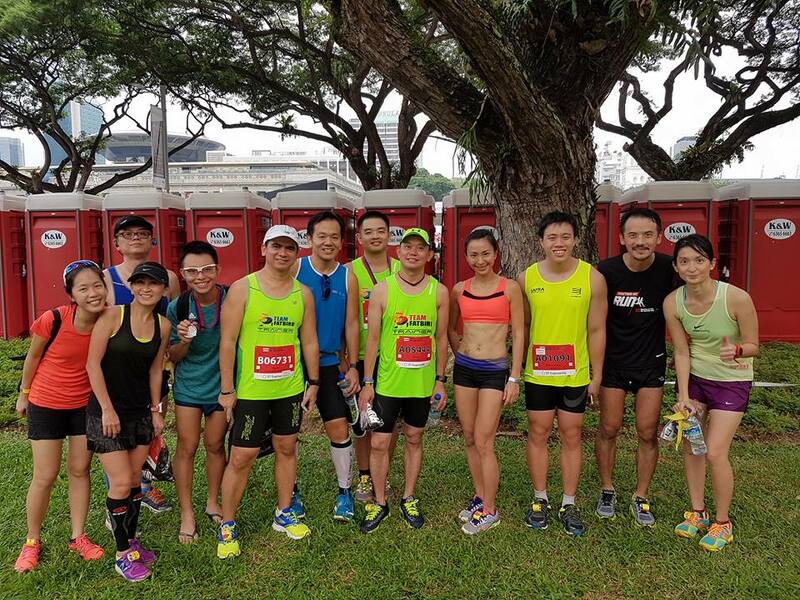 This collaboration was a small initiative to show support to our marathoner, Neo JieShi and other Team Singapore athletes competing at the Rio Olympics 2016. 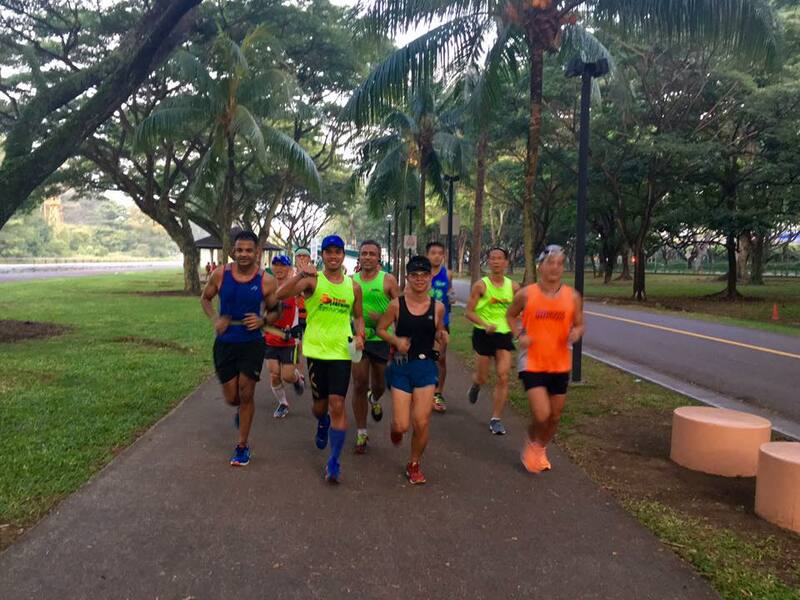 The 18km Optimal Pace run was executed to a tee by the Kingfishers. 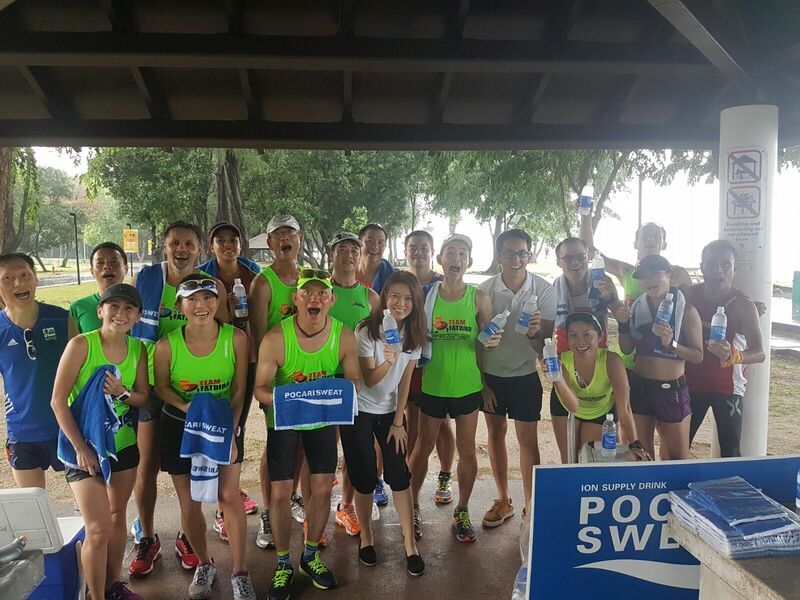 The wet weather provided cool comfort to all runners for a smooth run, topped by Pocari drinks and a finisher ‘towel’ as due reward. 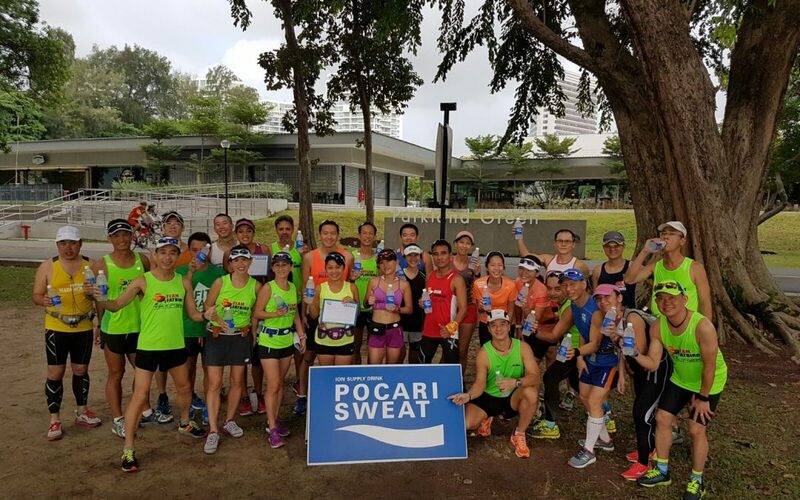 Thanks for the good people from Pocari Sweat Singapore for the hydration support. All systems go for a good outcome on race day! Enjoyed This Update? Join Our Mailing List! 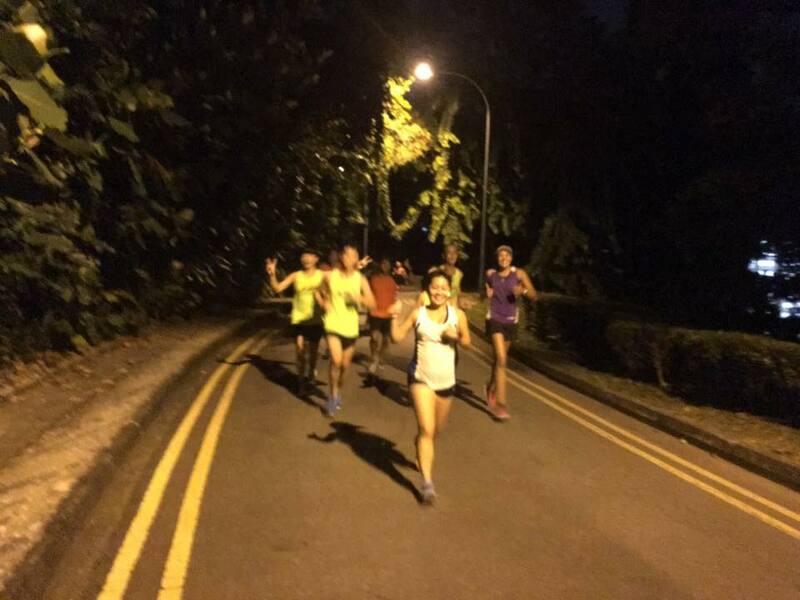 With just 2 weeks remaining to the Army Half Marathon Race, the Kingfishers ramped up their speed training with a bout of intervals at the Telok Blangh Hills. A warm up run up Mt. Faber took some steam off the runners, before doing a set of activation drills on site to prepare for the main menu. 6 x 900m sets later, the Kingfishers felt motivated with their strength and speed to want to do more. They were not disappointed with a set of tabata core workouts just to empty whatever has been leftover in their fuel tanks. 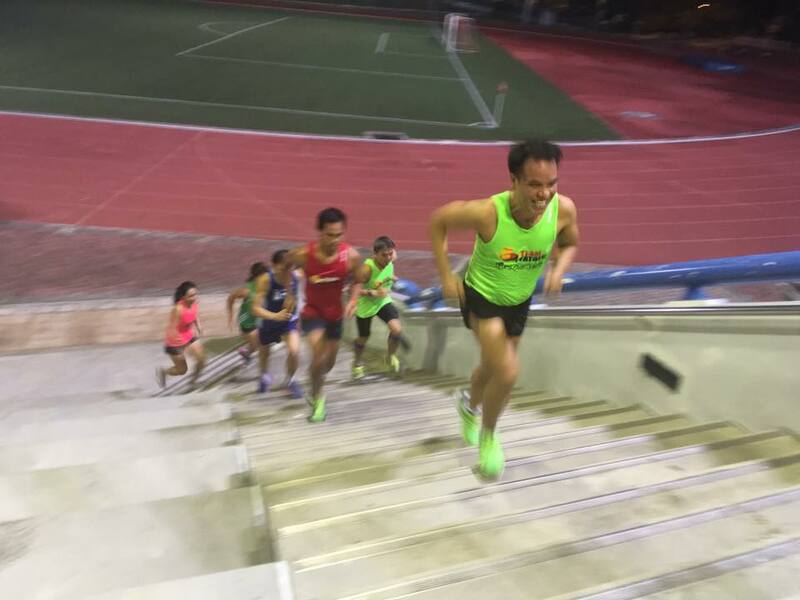 The 3km run back to start point capped a fruitful workout session for the night. The Kingfishers brought their improved base to Parkland Green on Sunday for a full HM time trial at race pace. 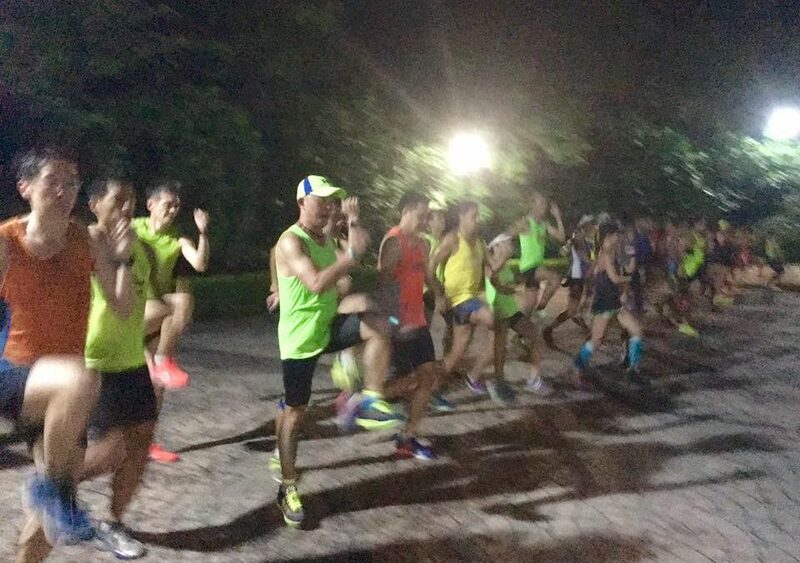 The start was on time and everyone did a very good even pace run to set themselves up to peak for race day. Confidence levels were given a boost as many made their targets and are hopeful for a good race. The Kingfishers Are Peaking Well!